Wild fermented hard cider is one of the easiest brew days you can have as far as time investment goes. You only need one ingredient, four supplies, and 3 minutes. Name a brew day that’s more efficient than that. Like I stated earlier, and in the video above, you only need a few things to create wild fermented hard cider, or cider that is fermented using wild yeast already living in unpasteurized apple juice. As you can see, you don’t even need your own yeast for this hard cider recipe, since it’s already living in the unpasteurized juice. Unfortunately, you typically can’t find this juice in stores and you’ll have to visit a local farm or apple orchard. Many farms affix a warning label stating that the cider / juice has not been pasteurized. 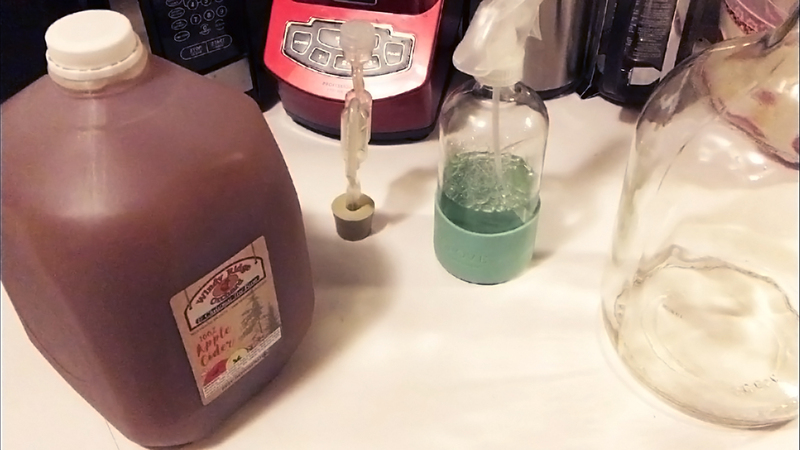 Step 1: Sanitize your carboy using StarSan or your preferred brand of sanitizer. Dump out the sanitizer and rinse if you’re not using a no-rinse sanitizer. Step 3: Attach the airlock and wait. Now, it should be noted that while easy to brew, success is not guaranteed. The wild yeast living in the cider could be too weak to really ferment the batch out. Alternatively, you could have a large culture of acetobacter, which will turn the cider to vinegar. There’s no way to tell how successful at given batch will be, just like any wild ferment that doesn’t propagate a yeast or bacteria culture beforehand. But, since it’s so fun and easy, it’s well worth the effort if you find a great wild yeast and end up with a truly unique hard cider. 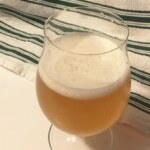 For more reading about sour and funky ciders using commercial yeast, check out the sour funky cider brew log. Below is the brew log for the batch created in the video. It will be updated as needed with new information and recipe progress. Your results may differ from the brew log below because of the different wild yeast and bacteria sources in different ciders. The cider at this point is done fermenting and has began to drop clear. Since this wasn’t heated at any point, pectin really shouldn’t be an issue in that regard. 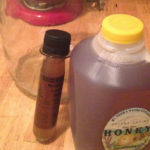 Once it clears more I’ll bottle condition to have a nice dry, tart, hard cider with bright carbonation. I’ll harvest the wild yeast cake for use in a hydromel. I would consider it done at this point. It’s almost dropped crystal clear. The flavor is an amazing mix of dry, tart apple cider and there’s a touch of pineapple, (likely from some offbeat wild yeast at work). I’m going to bottle this up with intention of carbing it in the bottle. We’ll see if the yeast has any gas left to do so. Final update and tasting coming soon.